Call centre managers are often told to speak using above the line language or with positive words and phrases. However, many are not told what they should refrain from saying. After all, words may have the power to build up, but they can also tear down. The way managers and team leaders communicate within call centres has massive impact on the people within the business and, by knock-on effect, on the customers with whom they communicate. Here Nick Drake-Knight shares his experiences with us. I’ve identified a series of the most common damaging phrases I’ve overheard in call centres. These language patterns are toxic and cause psychological discomfort to call centre colleagues, and to their customers if they are ‘transmitted through infection’. So, what are some of these damaging language patterns? Should, must, ought to, have to, have got to, and need to are words or phases that demand something of an individual. By using such demanding language a call centre leader is (perhaps without even knowing) placing an irrational suggestion into the mind of the team member. In reality, the team member doesn’t have to do anything at all. There may be repercussions for her if she doesn’t do what is being demanded, but the fact remains that the team member can do whatever she damn well chooses! The use of such emotive language has no place in a professional call centre that cares for its people. It’s not even particularly effective. It merely creates temporary compliance. People who consistently use this type of language are known as must debators, or mustabators. Mustabator language has no place in coaching call centre staff. This is one of our favourites. When we sit alongside a new team leader, or a relatively experienced manager who has been poorly trained, we hear this language pattern time and time again. “Why can’t you do it?” or “Why do you find it so difficult?” This is the worst possible question a manager can ask a team member. Asking someone why he or she can’t do something just reinforces that he or she can’t, even when with a little resourceful thinking and some behavioural changes, he or she probably can. Use “Why can’t you?” and you will perform poorly as a team leader. The But Monster is a word that joins two sentences together. In team communication it can also act as a destructive rapport breaker. Imagine a scenario – Pam, a customer services manager, meets with a customer services assistant, Tom, perhaps at an appraisal meeting, and proceeds to explain how some of his work has been quite good and that he has achieved some of his objectives. Maybe the manager goes on to add that other parts of Tom’s work have been quite good, too. Now, imagine also that Pam (the manager) is using a spoken syntax that has a downward inflection to the end of each sentence – ‘sentence dropping’ as it is sometimes called. The impact of the customer services manager’s message is already disempowering for Tom. He has, remarkably, broken the code of the message, even before it is has been delivered completely – the employee knows instinctively that the next word to be uttered by the manager will be ‘But…’ followed by a message that is either critical or negative, or both. How does he know this? By what means does he have the mind-reading capabilities to second-guess the manager’s thinking? Have you noticed the impact of the word ‘but’ on what is being said? In the examples shown, the use of the word negates all that goes before it. This is an absolute killer of self-confidence. The lack of sensitivity and awareness from some call centre team leaders is staggering. If a team member has been told ‘time and time again’ about a given work process, maybe the team leader’s method of communicating is not as effective as it could be? Not everyone is cut out for call centre work and sometimes consistently poor performance really is an indicator that the employee’s skills or ambitions do not fit the role. That’s not always the reason a call centre employee performs poorly, though. I’ve discovered that, too often, it is the style of a team leader’s communication that is causing the difficulty. Well you’re not, so shut up. This article is extracted and adapted from the book “BOOMERANG! Coach Your team To Be The Best And See Customers Come Back Time After Time”, Nick Drake-Knight. Nick Drake-Knight is an author and change consultant with NDK Group. I never realised how damaging simple phrases could be. I was always taught that by building people up before you criticise them it would not sound so negative. If you cannot use but, what language can you use? it’s funny how much forethought needs to go in to what we deliver to an agent in order to prevent these issues. Most peoples reaction to hearing the word “but” is defensive and ignore whatever came before it. One way you can avoid generating that reaction by using the word “and” instead. Start with the bad bits, get those out of the way and finish on a positive. Also, carefully plan what you have to say in advance. – What is the culture in your call centre? what is important? getting the numbers? or are the people important? – How does your manager speak to you when things are going well? and not going so well? – Why were you chosen to be a team leader/manager? – When you were made a team leader/manager, what help were you given in understanding how to get the best from people? – Have you had any training on understanding others and appreciating diversity? – Have you had any training on coaching and performance management (not just the process!) ? So how important REALLY are people in your call centre? so… what can I say? The article is good BUT tells me nothing about what I should be saying in place of these phrases… ? help? What I have enjoyed most about reading this article, is the comments from people it has generated. You are all obviously very passionate about your roles, and this is just wonderful to hear. People caring about what they do and who they work with – fantastic! Hey…I’m in the US, Simon, and I’ve never heard a bigger laod of rubbish either! This advice stinks! Not sure if I agree with some of the comments. If the article has provoked you enough to make comment then it has done its job and perhaps it is you who need to heed the advice! Having personally been involved in a number of industries and call centers, the points Nick makes have been, and continue to be, invaluable in developing a team culture. If it’s answers you are looking for now investing £14.99 in Nicks book Boomerang is money wisely spent. It’s funny how the people who would benefit from advice are the last to recognise this. The best call centres operate with a management style not akin to that of a police state. At times we don’t all agree on the best approach to take in coaching and if the langauge patterns used by those who have left comments here already are anyhting to go by it’s clear which people are clued into utilising productive feedback techniques (well done) and those who aren’t – you know who you are! 1. Ask how THEY could handled calls etc better. They may surprise you! 2. Ask them if they can offer suggestions as to how things can be done better or if they can offer an alternative. This empowers them. 4. Take into account your the individual learning styles of members in your team. Everybody learns differently and as an effective manager this should be second nature to you. 5. I agree. Never say if I were you. You can discuss similar situations that you have found yourself in but don’t use that phrase. It’s like telling them what to do. Fran – I agree with you. Some people just don’t want to change! Having experienced some positive customer service from call centre staff, then some less than positive I applaud the different use of language. I used to be a shoulda and it has taken a lot of practice to change. Since being aware of the BUT monster I realised how much I used the word in my feedback as a trainer. Agreeably everyone has their own style and the author is not trying to create a robotic response. I would suggest that anyone having doubts about the power of positive feedback, practice reframing a negative response. This works particularly well with teenagers who can so easily have their confidence undermined and therefore elicit a over exaggerated response to a request i.e. instead of using “how many times have I told you to do this” try pointing out the benefits to them of changing their behaviour. I believe the “WIIFM” approach works far better than any negativity. This was a great article and I needed it. I have been having trouble giving my team performance feedback. I am good at giving quality feedback, but when it comes to performance appraisal, there is not much I am able to say. Most of my team meetings and performance appraisal turn negative and I think this article will change that. Thanks. I found some of this article very useful, especially the use of the word BUT, I imagine quite a lot of people use this in their everyday feedback with no realisation of the way it comes across. I was however, disappointed with the rest of the article which did not offer many solutions to improving the feedback. The bit about the mustabators was really weird and slightly disturbing. I have spent time in a call centre observing the working procedures and can only say that the term ’21st century sweat shop’ justly describes what goes on in these places. The coaching advice given in Nick Drake-Knights article can only be a huge benefit to managers/team leaders with the unfortunate task of motivating these staff. It is straightforward, easy to understand and the postive message can be taken away and used in daily life. Nicks examples of words and phrases to avoid are amazingly simple and from the myriad of positive comments above, they have obviously made a huge impact. 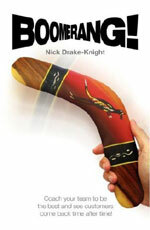 For those of you who have left negative comments, I suggest you read Nicks book ‘Boomerang’, you will learn a lot!! Amazing – its all about developing soft skills, by developing these and using them we then show our staff how to communicate with customers. Negativity is around us all however it is up to us as to whether we are going to buy into it – we can choose our own destiny by living above the line or be the victims living below the line….. The comments on here are fantastic and postive, for those that have left negative comments, there is a whole new world of communication waiting for you and once you are open to this you too will be just as excited about it as we all are. I am sorry but I do not see the value added of this article. Author points on phrases that should not be used, but he offers NO alternatives that should be used instead. I am missing this. This is ofcourse a good article but I am really very confused in one phrase “BUT”. Nick could you please give some alternative words for this??? A nice article indeed. Call centers are all about communication and every word spoken makes an impact. Buts are for ashtrays ! Me: “Of course not. My goals are higher”. Me:”I thought I did. I resolved the issue she was calling in for”. Coach: “No. During the call the customer brought up the fact that her husbands phone had completely died, and you didn’t offer any solutions”. Me” That is true. But I checked the phone and it wasn’t under warranty, and I thought I heard the customer mention she was just going to go to the store”. Me: “I’ll be more thorough in the future and get some tips from you”. And I got back on the phones not feeling so chippy. Asking how long you have been working here instead is quite threatening. 1. Dont say ‘what you need to do’ or ‘what you should do’ – instead say “in hindsight, is there anything you would have done differently”. Attack the issue from that angle and give the person a chance to actually look at their own behaviour. This is especially important if playing back call recordings. 2. Don’t say “why can’t you do it this way” instead say “how about trying it this way”. 3. “youve done well, but” – instead of doing this, use a feedback sandwich. Give a positive comment, followed by constructive (not negative and not the word but) and then positive again. For example, “that was a great answer, not really the one I was looking for, but very good anyway”. 4. Replace “how many times have I told you this” with, “we have spoken about this before, would you like me to arrange some extra training” – just one example. 5. There is nothing to say in place of “If I were you” – just dont say it. It seems to me that paragraph 5 should be carried out in general for all staff. This was obviously written by an agent, not a manager. – I’D LOVE TO ASSIST YOU/I WILL BE MORE THAN HAPPY TO ASSIST YOU? I agree that negative words lead to negative staff, you need to find what works for you, remember you are leading people and not numbers and everyone needs you to lead them in a different way. I have been in a leadership role for many years now and have gone to all the training and nothing works better than practice and only you can choose what works for you. If you want success the only way you can achieve it is through the people you lead. The choice is yours, people leave managers not jobs. I avoided using these statements and also used the five phrases that should be used and my team’s bottom performer now feels motivated to work and is now showing improvement. I strongly believe that those who are in favour of this article are actually right. 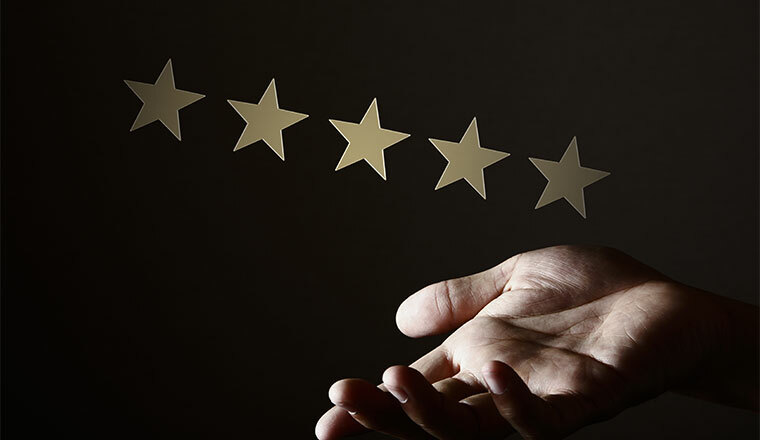 If managers learn how to give feedback by putting themselves in the shoes of those receiving the feedback they will see a remarkable improvement on the floor of their call centres. This is a provo del acido. it is tested and trusted. Give feedback in a positive manner as a manager, you will be appreciated by all and you will see every of your team members making efforts to improve on their performances. I have found out that negative phrases by call centre do not always bring about the much desired result in the long run. I bring this phrase out simply because it has been used on me and gave me the impression that my manager didn’t give a crap about the problem that I was presenting to them and didn’t want to work with me at all at finding a solution. As an employee I take the view of ” My problem is also your problem” when it comes to my manager. I always thought that my manager was there to help me sort out issues whether they are based on a client issue, technical issue or personal issue that requires me to lose time at work. By avoiding using that phrase, the employee will feel that their manager is willing to help them in any situation that they may need help with. This will also help with attrition and morale. This is all so true. It almost seems like a lesson on common sense should be the first lesson taught. Perhaps early on, training the rep to say to themself “would I want to be told this?” might help. What complete and utter drivel. NOWHERE does it focus on a poorly perfoming or lazy worker. get a grip! I am sorry about the length and I know some people wont bother reading this. I felt I had to say something because several of the feedback comments talk about how the article does not focus on poorly performing or lazy workers. I feel these comments are a reflection of frustrated managers. In a lot of cases of laziness a manager need to work out what motivates their staff and reward even the minor good things to start seeing the bigger changes. I am a new manager of a call centre (3 months). I have never managed people or had this level of responsibility. I had worked in a call centre 10 years ago (and am realising I was probably a bad employee back then). We only have a small call centre staff of 7, so my managers thought I would cope. The call centre changed to a different section of the business 6 months ago. The manager at the time was replaced after saying in the middle of the room, in front of staff, that he hated it and wanted ‘out’. The team had 3 managers (including me) in 3 months and by the time I started it was a very toxic environment – I suspect had been this way for a long time. There was a clear divide between the staff who had worked in the centre for 5+ years and the new staff, to the point of nasty and derogatory comments about new staff, to customers. I was warned that there were ‘bad eggs’ and ‘lazy staff’; one staff member feeding negative comments and stirring up reactions in her colleagues; a lazy staff member who would sit in wrapup or ACW for 10+ minutes following every call; the ‘drama queen’ who would end up in tears and disappearing for hours from the office because it was ‘too busy’. These behaviours rang true from my observations. There were clearly reported patterns of behaviour with previous managers that did continue when I started. I decided to approach the team with a clean slate. Took on board what I had been told but decided that I wasn’t going to treat them any differently. The first performance management discussion I had with a staff member was 6 weeks in. It went badly. For the most part it was as much my own nerves about what to say that affected the meeting as their reaction to receiving bad feedback. The best results I have had was when I noticed a decrease in performance and asked the staff member if they were ok, if they knew why their performance was decreasing and offered them support. Within a week their performance had improved dramatically, they told me later that they a) didn’t realise they had slipped so much b) they appreciated that I was trying to help them. I think the big thing about managing staff is not making assumptions about their motivations – I guarantee that they are making assumptions about you – rather trying to build their trust so they tell you what they think the issue is. Sometimes they are way off the ball park of what is actually going on and being open and honest with them made a huge difference to get my staff onside and working with me. I like to refer to my job as ‘managing personalities’. It has been an utterly exhausting 3 months but I have reached a point with the team that, while there are still clearly issues, they are happy most days, they feel like I do care and I am trying to help them and that in the long term they are going to see improvements. In a culture of performance and measurement, which practically every Call/Contact Centre drives, lives and breathes, we seem to forget that Performance = Behaviour + Results, and focus primarily on just the results. Perhaps as Managers there is the opportunity to understand what is expected from us behaviourally and with that understanding prepare more thoroughly for any interaction or intervention by looking at the detail of how we behave; our body language, the way we use our voice, the language we use. These little things – the pointing of a pen, the use of “but” as previously mentioned, the hardening tone of the voice can seriously affect the outputs and the outcomes for those we are working with. If we desire to motivate others it isn’t enough to simply ‘do the job’ – we are responsible as managers for breeding great behaviours and that means picking ourselves up on the tiniest of detail to ensure effective behavioural cascade. With work that can become monotonous, with little to look at, minimal physical movement, it isn’t surprising that everything we do as managers is observed and noted by our frontline staff. So perhaps we do need to be more self-aware in order to promote positivity and motivation within our Centres. We are being watched so lets watch ourselves. Firstly, I’m a call centre worker, not a manager. This is an intesting article …however, I don’t think call centre manager’s should be too sensitive about the actual words they use. I think the most important thing is they show a genuine interest in you as person and that they are approachable. I appreciate it when my manager asks how my day and that she always stops and listens to my reply. She seems to genuinely care how everyone in the team is doing on a personal level, so if she does have to give feedback it is well received. Also, it is just as important for employees to receive recognition if they do well. There is some interesting reading here and I agree with the majority of things – especially the constructive feedback side and avoiding the word but! However in regards to the first part I think that words like need, should and must can be used as long as it is correctly done. For instance I work in the insurance industry and we are very closely monitored in relation to compliance and staff MUST do certain things and infringing on them can ultimately mean that we could be fined or even worse prosecuted (this can also mean the individual). So I think in certain circumstances this type of language can be used as long as its backed up with the reasoning as to why it is so important. Rather than just telling people what to do a good manager should be able to relate this back to the employee so they understand all aspects fully and instead of just the how they are advised most importantly of the why. Maybe, just maybe, you should consider the fact that call centre agents are actually adults! Treat them as equals, not as naughty school children and you will get a lot more respect. It is really incisive and educating. I have actually learnt something new on how to manage my team. Let’s not forget that while this article is valuable and interesting, it misses the key point. Some times as managers we have to let people know they are not doing their job correctly. Softening phrasing and removing direct statements essentially denies the intent of the conversation, which is ensure problems are addressed and calls are handling differently that they are being handled at that point by the consultant. Let’s not be so afraid of hurting someone’s feelings that we forget they are there to do a job and if they don’t do it the way it needs to be done, we are entitled to tell them directly. Soft language use early in communication makes it that much harder to manage someone effectively when you need later on. Being honest up front is better than being soft and then dealing with issues later that could have been resolved if you just told someone straight out what they are doing wrong. And yes call handling issues are simply someone doing the job wrong. If someone genuinely doesn’t recognise that then perhaps they are in the wrong industry. This article has some decent advice, however if you keep having to correct the same issue over and over then the person should know that.